If you're using a microSD card in something like a GoPro or other action camera, speed matters. Here's a comparison of the speed of some of the most popular fast microSD cards. MicroSD cards are the smallest of the SD-style memory cards. They're about the size of a thumbnail and are commonly used in smartphones and the smallest cameras like action cams. You'll often see them referred to as microSDXC or microSDHC cards. That distinction doesn't have anything to do with the physical size of the card--I have more on that below. While the speeds and storage capacities of microSD cards has tended to lag behind the larger SD-sized cards, as they've become essential to more and more small devices, the card manufacturers have been improving microSD cards rapidly. They're getting faster and with larger storage capacities--you can even get them up to 1 terabyte now. And they're getting fast enough to keep up with the high-bitrate video recording of 4K action cams. For several years now, I've been making a point to buy and test as many different models of fast microSD cards as I can get hold of. This post is based on those tests. I'm focusing here on the sequential write speed, which is the one most relevant to recording 4K and 8K video in and high-speed bursts of photos, some of the most demanding uses of a microSD card's speed. These are the current top 5 fastest microSD cards so far according to my independent speed tests of sequential write speed. This is the metric that's most relevant to recording 4K, 8K, and high-bitrate video as well as fast photo burst modes. Why Do You Need a Fast microSD Card, Anyway? If you're using a microSD card in something like a GoPro or other camera or camcorder that records high-resolution 4K or even 8K video, speed matters. And just like with their bigger siblings, SD and Compact Flash cards, the speed of microSD cards vary widely from card to card. The even-numbered class designations for SD and microSD cards, like Class 6 or Class 10, were supposed to provide an easy way to see if a card was fast enough for a particular use. And they did . . . for a while. But the capabilities of the newest cameras need something better than just Class 10. Most basic Class 10 cards won't work well in 4K video cameras like the GoPro HERO7 Black or GoPro HERO6 Black, for instance. So you really need to look further to the read and write speeds. Of these, the write speed is by far the most important for most camera uses. That tells you how fast you can get data on to the card. That doesn't tend to matter as much when using microSD cards in smartphones or GPS units--or at least, that's a different kind of write speed--but it does matter for cameras when you're shooting in burst mode or recording high definition 4K video or super fast framerates. The read speed, which is often used in marketing, tells you how fast you can get data off the card. With the speed tests and rankings below, I'm focusing on the sequential write speeds and basing them on my own independent real-world testing. But manufacturers don't always make it easy to see what the read and write speeds are. Names like "Ultimate," "Extreme," and "Elite Performance" aren't particularly helpful, especially when speeds are improving so rapidly and manufacturers are recycling the same card names with newer cards with different specs. And some manufacturers advertise speeds measured in megabytes per second, while others use more cryptic multipliers like 1900x, making it hard to compare apples to apples. So I've been putting some of the microSD cards that are most readily available to the test. My focus here is on their speed for recording video and burst mode photos. Here are the ones that fill the top spots in my tests of sequential write speed, the measure that's important for shooting high-resolution video. These are all more than fast enough for 4K video. As you can see in the detailed table below, some models, like the SanDisk Extreme Pro line, have several models that rank amongst the fastest in my tests because the manufacturers reuse the name as they come out with newer, faster cards. This card is very, very fast. But there are two catches. The first is that not all the sizes have the same speeds. I had originally tested the 128GB version and been somewhat surprised that its performance wasn't better. A reader alerted me to the difference in speeds between the different sizes, so I tested the 64GB version. And that's the one here. So if you want the fastest one, go with the 64GB size. This version has the U3 and UHS-II markings on it. The graphic on Lexar's website has it with V90 markings on it, but I haven't come across that version for sale yet. The second catch is that they're not all that easy to find. Lexar has been going through some corporate upheaval lately, including a change in ownership. I don't know to what extent that has affected manufacturer and supply lines, but the upshot as a customer is that these high-end Lexar cards aren't as readily available as some of the other options here. A nice perk of this card is that it comes with two readers: a microSD-to-SD adapter cartridge and a USB thumb reader. Both are UHS-II, and the thumb reader in particular is about the fastest I've come across. It also comes with a license to Image Rescue 5 included. This latest version of the top-of-the-line Extreme Pro line is labeled both with V30 for 4K video recording and A2 rating for app speed. It's rated for 90 MB/s sequential write speed and 170 MB/s sequential read. SanDisk comes out with new models quite frequently, and there's not always a lot of performance improvement between them (which is why there are so many near the top of the table below). This latest version claims a boosted read speed over the previous model, but the reality is that the past few iterations of the Extreme Pro have had much the same write speed, so if you can't find this latest version you can be confident getting a recent previous version. The Extreme PLUS line of SD cards sits between the Extreme and Extreme Pro in SanDisk's lineup. As with the Extreme Pro, the performance of recent versions has been similar, so you don't necessarily need this very latest version (which is model SDSQXBZ). SanDisk uses a three-part model numbering system in the format SDSQXBZ-064G-ANCMA. In this example, SDSQXBZ is the model, 064G refers to the amount of memory, and the last 5 characters are used by the marketing department for different parts of the world, but the cards are otherwise the same. So the first part is the crucial part if you're looking to see which model the card is. Samsung isn't known for action cameras (although they do have some interesting compacts and even 360° cameras), but they're one of the very big players in the smartphone and mobile devices market, many of which use microSD cards. They've also got a lot of experience in flash memory and electronics in general. So it stands to reason that they'd make top-notch microSD cards--and they do. They have multiple models, and the distinctions between them isn't always clear. This one is the EVO and its model number is MB-MP), but you can also find models like the EVO Select and EVO Plus. Below is the full list of my microSD speed test results. These are sorted by default by descending sequential write speed--the value that's most relevant to using the cards in high-resolution cameras--but you can click on the column headers to sort by other criteria or use the search bar to filter by brand or model number. You can also scroll the table right to get the other columns. Obviously, this doesn't include every microSD card available. It's a growing list that I try to update regularly as new cards are released and become readily available. I buy all of these cards myself--there are no sponsored tests or freebies. If you have one you think should be added to the list, let me know in the comments and I'll do my best to track it down and test it. Why Get a Fast microSD Card? The newest cameras that are coming out have capabilities that can demand a lot from the memory card. Cameras like the new GoPro HERO7 Black or Sony RX0 can record at very high bitrates, and there are other cameras and devices that use even higher bitrates. These all require a fast memory card to keep up with the amount of data the camera is sending to it. If the card's not fast enough, you can end up with issues like the recording stopping, the camera freezing up, or the camera overheating. Because there are various ways of interacting with a microSD card, there are different types of speed. For transferring data off a memory card when you're downloading to your computer, the sequential read speed matters. If you're using it with a device running apps, you'll be mostly concerned with its random write and read speeds. For recording video from a camera, the one that matters is the sequential write speed. That tells you how fast you can get data on to the card. It's often not as clear as it could be, because the marketing departments for these manufacturers often use the sequential read speed in large, bold type on the packaging because that number is often higher and looks more impressive. But the read speed tells you how fast you can get data off the card, and that's much less relevant when choosing a memory card that can keep up with the camera's recording capabilities. So in ranking the cards here, I'm focusing on the sequential write speeds and basing them on my own tests. But it's not always true that the fastest card is necessarily the best card for what you need. Price and availability matter too. And then there's the important issue of whether your camera can take full advantage of the card's speed. There's generally no harm in putting a very fast card in a slower camera because the specifications are designed to fall back gracefully and maintain compatibility. But the performance you get will be limited by the slowest point in the chain. To take advantage of what UHS-II cards can do, for instance, you'll need a camera or reader that's compatible with UHS-II. If it's not, the card will still work--they're designed to be backward compatible in nearly all cases--but you won't get the highest speeds the card is capable of. One place you might see some benefit, though, is when you go to download the photos from the card to your computer using a card reader--but again, only if your card reader has a UHS-II interface. In real-world use, a range of technical factors in the camera and its transfer hardware and software can prevent you from hitting the speed numbers on the card's packaging. What I'm focusing on here is real-world uses, not scientific lab results that can't be replicated in practical use. In conducting these tests, my objective is to test the performance that we can realistically expect using off-the-shelf hardware in normal use. There are two things I am not trying to do. I'm not trying to replicate the manufacturers' benchmark lab tests. And I'm not trying to play gotcha and test whether the speed ratings the manufacturers claim are accurate. There are, after all, several things that can affect the speeds you can get out of cards in practice. For the reader, I'm using a Lexar LRWM05U-7000 USB thumb reader. It's one of the two options that comes with the Lexar 1800x microSD cards. I've found it to be the fastest of the readers that are readily available--faster even than my Lexar Professional Workflow microSD reader--and because it connects directly to the computer's USB port, it eliminates any potential issues with cables or external card reader interfaces. It's connected via USB 3.0 and is UHS-II compatible. For the software, I'm using the benchmarking suite in Digital Media Doctor by LC-Technology, the company behind SanDisk RescuePro. All cards were new or near-new and freshly formatted. Because it's quite normal for results to vary a bit between tests, I'm running each set of tests three times and averaging the results. For the computer, I'm using an iMac Retina 5K late-2014 with an internal SSD. There are faster, more powerful computers that might squeeze out higher transfer rates, but this provides a useful real-world platform that is widely used and available. And, finally, the cards themselves. I buy all of these myself through standard retail. I don't accept freebie cards or conduct sponsored tests. There's a lot of jargon when it comes to memory cards. Here are some brief explanations that I hope provide some clarity. All speed ratings I'm using here are in MB/s (megabytes per second), which is not to be confused with Mb/s (megabits per second). Megabits per second is the measure more commonly used by cameras and in recording video. There are 8 bits in a byte, so to get from megabits per second to megabytes per second you multiply by 8. So 80MB/s is the same as 640Mb/s. Here's a handy conversion calculator. The codes microSDHC and microSDXC are useful as a practical way to determine what size card will work in your device. If your device specs say that it only works with microSDHC, then you'll want a card that's 32GB or smaller. If it says microSDXC, it'll work with both. But the designations are technically referring to the filesystem used on the cards as specified by SD Association guidelines. Technically, it's possible to use a computer to format a 32GB card with eXFAT or a 64GB with FAT32, for example, but it's generally not recommended. Some cameras do a check, and if they don't see the filesystem it expects for that size card you'll get an error. And when you format the card in the camera, which is always considered best practice to avoid problems, the camera will format using the filesystem expected by the SD Association specs for that capacity card. Just like SD card, microSD cards are given a speed class rating that refers to its category for writing data, with each category describing a real-world video recording use. These apply the same to microSDHC and microSDXC cards. V90. The V-class is a new designation created to designate cards that are designed to work with the speeds required for 4K video and faster. The SD Association added some lower numbers to make them backward compatible with the older class designations (e.g. Class 10 and Class 6), but the most important ones are V30 and above. Memory cards in the V90 class are rated to support a minimum sequential write speed of 90MB/sec. Their primary market is for cameras that shoot 8K video, and for now, those are pretty rare, but the class provides room to grow. V60 is applied to cards that support a minimum sequential write speed of 60MB/sec. They're aimed primarily at cameras that record 4K video. V30 is applied to cards that support a minimum sequential write speed of 30MB/sec. These are designed to support at least full HD video and some 4K video cameras that record 4K at lower bitrates. U1 is designed to support real-time broadcasts and HD video (720p and 1080p) with a minimum serial write speed of 10 MB/sec. This overlaps with the newer V10 class. Class 10 is designed to support 1080p recording at a minimum (but again, not at all framerates) with a minimum serial write speed of 10 MB/sec. Classes 2, 4, and 6. Class 2 supports standard definition video recording with a minimum serial write speed of 2 MB/sec. Classes 4 and 6 are designed to support from 720p and 1080p video (but not all framerates) with a minimum serial write speed of 4 MB/s and 6 MB/s respectively. Most newer cameras need cards faster than these, so memory cards in these speed classes aren't as commonly available now. What is the A Rating (e.g. A1 or A2)? The A1 or A2 rating is a new type of speed specification that's relevant for running apps from the memory card. The A rating is a separate specification, not one in the same sequence. So it’s possible for a card to have both A1 and V30 ratings, for example. Up to this point, the primary market for memory cards has been for storing media like videos or photos. But increasingly, devices are able to run apps directly from a memory card. And that requires a different type of interaction with the space on the memory card--specifically, random read and write speeds and small chunks of data are placed wherever on the card there's space for them. So the new A specification (for App Performance) incorporates the random read/write speed. If you're buying a memory card for a camera, it's not especially relevant because what's requires on those is sequential speed. So if you’re recording video (or shooting photos), the speed classes you want to look for are the ones starting with V (e.g. V30 or V60) or U (U1 or U3). 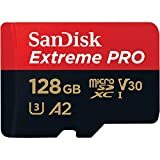 But if you're buying a memory card for a gaming device or smartphone or some other kind of device that runs apps and uses SD or microSD memory cards, the A1 or A2 rating is designed as a guide for what cards are best suited to that kind of use. Newer microSDHC and microSDXC cards have a feature called ultra high-speed bus, which refers to the interface. So far, there is UHS-I and UHS-II. UHS-II is the newer, and potentially faster, system but adoption is still not widespread. And a UHS-II isn't necessarily guaranteed to be faster than every UHS-I card in practice, as you can see from the test results above. The UHS-I category refers a type of interface that has a potential maximum speed of 104MB/sec. You can also tell them apart by looking at the cards themselves. UHS-I cards have a single row of pins on the back. But it's important to note that taking advantage of the potential speed increases of UHS-II requires that both the card and the host (e.g. card reader or camera) support it. Using a UHS-II card in a camera or host that only supports UHS-I will result in it falling back to UHS-I speeds. Put another way, if you use a UHS-II card in a card reader or device that's only rated for UHS-I, you'll only get a maximum potential of UHS-I. You might come across mentions of mini SD cards. Most of the time, they're actually referring to microSD--people sometimes use "mini SD" loosely to refer to the cards that are smaller than regular SD cards. As a technical matter, there is such a thing as a miniSD card spec--it's one of the three defined form factors that the SD Association has specced. But in practice, miniSD has been overtaken by the microSD form factor, and in nearly all cases--except the most highly specialized uses--what people mean when they're looking for a mini SD card is actually a microSD card. You generally won't find actual miniSD cards for sale and you'll be hard-pressed to come across any devices that use them specifically. MicroSDHC and microSDXC or refer to the cards of the same physical size. That distinction refers to the filesystem on board and is also related to the storage capacity of the card. There's more information on that above. There are counterfeit memory cards out there. Buying from a reputable retailer helps minimize the risk of getting a fake. Memory cards are complicated electronic products. A small percentage of electronic products end up being faulty from the manufacturing process. So it's good practice to test your card before using it in a mission-critical application. Better yet, have spare/s as backup. Memory cards are not designed for long-term archival storage of photos and video. It's good practice to download the data as soon as practical and get it backed up securely. It's always best practice to format memory cards in the camera you're going to use them in, but if that's not possible or not what you want to do, you can also format cards using a computer. But there are some things to know when formatting microSD cards to minimize the risks of your camera having problems with them. So I've put together guides on how to format microSD cards on Mac and how to use the free SD Card Formatter app for Windows or Mac. What's your suggestion if what I need is just to store large amount and lots (thousand) of data like photos and videos? It is enough to have just a c10 microad card? I want to read my photos and videos flawlessly on my gallery app. If you're just storing, the speed doesn't really matter. Something like the SanDisk Ultra line or Lexar 633x line offer very large sizes, I've found to be reliable, and are relatively cost-effective. That said, I wouldn't recommend relying on memory cards as the only copy. They're pretty reliable, but they can still fail and aren't really designed for long-term archiving. Thank You very kindly for clarifying the EVO differences. So the early EVO models said U1 on the package and the current version(s) say U3 and that is the only way to tell them apart correct ? The most reliable way is with the model numbers. The most recent ones I've tested have model numbers that start with MB-MP. The model numbers aren't always easy to find--they're usually in very fine print on the back of the packaging but much of the time not visible on the card itself (or if it is, it's in super-tiny text).
" Model code: MB - MP32GA / AM " but it also says " U1 ". Can You gives us the Model code for the newer EVO U3 variant(s) ? It looks like they didn't refresh the 32GB version--it's still marked U1. The 64GB, 128GB, and 256GB versions (eg. here) are labeled U3. You have certainly provided us with a lot of Excellent information. However one item does not appear quite right. You list the Samsung EVO @ 87.2 MB/sec. Write and their EVO Select @ 70.3 MB/sec. Write. Several other Sites rate the EVO at 19, 20 or 21 MB/sec. Write and the EVO Select at about 71 MB/sec. Can You please explain why the big difference ? I've just run the tests again on that card and am getting basically the same results as the original. Samsung does recycle their names, so you there are several generations of EVO cards. With the older U1 versions I was getting around that 20MB/s rate, but I'm getting the much faster results out of this newer U3 version. I have the Sony FDR x3000 which SF card do you rec? I used a Samsung EVO Plus U3 but it doesn’t do 1080 60ps. 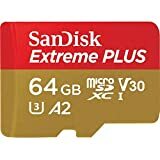 Do you think the Sandisk extreme plus V30 UHS 1 can pull it off? I'm surprised that you're running to issues with the EVO Plus even at 100 Mb/s bitrate, but I've found the Extreme Plus or Extreme Pro to be faster and should be plenty fast enough. A very well done article. If I am down loading music off line ( tidal) what type of card should I look for. Actually, for that kind of use you really don't need an especially fast card. Sound files, even ones using Tidal's high quality settings, just aren't that big compared with the kinds of video bitrates these newer cards are built to handle. Even basic Class 10 cards should have no problems at all. Something like the SanDisk Ultra line is a good option, although there are plenty of others. Have you tested any V60 or V90 cards? I have a Hero 7 and want to make sure I get the right card the first time to handle any 4k video it's pushing. Yes, I have. You might find this post on SD card recommendations for the HERO7 Black of interest. The Delkin is one of the few microSD cards so far with a V60 and it works great in the H7 Black. Very helpful! All information that I needed is in here. Thank you David for putting together and updating this excellent page with loads of useful information! Going forward, it'd be good to add a date to some of the information and data. Also, links to vendor spec pages would be nice, though I know they are moved a lot; I'm willing to help trying to keep those up to date. Both good suggestions--thanks! Will see what I can do. The spec pages have a habit of being removed entirely from the vendor sites, and some block crawling from the Wayback Machine, but will see what I can set up. I haven't tried them but will see if I can get hold of one to test. Would you say the SanDIsk Extreme V30 is suitable for the GoPro Hero5 Black? Yes, certainly. It's one of the ones I specifically recommend for that camera here. What is the best MicroSD Card, with Nintendo Switch? i have a SanDisk Ultra microSDXC UHS-I, U3, C10, A1. I got this from their team via email. Let me know if you have any questions. Thanks. Added to test queue. I'll add it to the queue, but I'm curious where you're seeing the different ratings for them. I don't see anything on Lexar's website to indicate different speed ratings--they both seem to be rated the same there. But it will also be useful to try to the very latest version with the V90 on the packaging to see if it's purely a packaging change or if there have been any improvements under the hood, especially with the new owners taking over. Care to add the Lexar 1800x 64GB card to the mix? I noticed you only tested the 128GB Lexar card which is rated significantly slower than the 64GB card. Not really a fair comparison and if you pay attention, this article makes it seem like you favor Sandisk. For a D5300, any of those three are very good options. I've used a number of cards from all of these manufacturers and have always been happy with them. These three cards are faster than the camera itself needs and you won't see any benefit from one over another in the performance in the camera. so it really comes down to your brand preferences and which you can get for a good deal. Curious as to why the regular Samsung Evo performed better than the rest of the Samsungs?. Would this make it a superior choice over the Evo plus and Evo select ? Some of it is generational. Samsung reuses the model name (EVO), so there can be EVO cards of a newer generation than some previous EVO Plus and EVO Select. thanks, great article. I am looking for 200gb or 256gb to record 4k from my samsung s7. I am getting ready to purchase a Samsung Galaxy J7 V Smartphone in the near future. I want to purchase a 32 GB Micro SD Card for my new phone. I am considering one of the following: SanDisk Ultra Class 10, a SanDisk Regular Class 4, and a PNY Regular Class 4. Which one is best one for this particular and which one would you recommend to me? Any thoughts on using the Micro SD cards for SLRs instead of using full sized SD card. I'm thinking if I buy only micro SD cards, I can use them for all my devices (GoPro, SLR, etc. ), instead of buying micro for GoPro and full for SLR. Would I lose any speed, functionality, etc. using a micro SD with an adapter in the SLR? It's doable. The weak link is usually the SD cartridge adapter. Most of the standalone ones are relatively slow. Some of the higher-end microSD cards come with a faster adapter such as a UHS-II one, but not all of them. And while the adapters are relatively straightforward, it does add another potential point of failure into the mix. I'm thinking of buy the Sandisk Ultra 400GB Micro SDXC UHS-I Card with Adapter - SDSQUAR-400G-GN6MA for my phone, mainly for storing maps and the usual media, musc,photos,and videos. Do you see any pitfalls if I do purchase the card? Not aside from the usual all-your-eggs-in-one-basket issue with large memory cards. So long as there are backups, I'm not sure how there could be a problem. From my understand thru sales reps at the retail stores, MicroSD cards above 128GB performs similar read and write speed. Such as Sandisk Extreme / Extreme Pro / Extreme Plus 128GB performs relatively the same in read and write speed. Will you/ Do you have any test speed for 128GB MicroSD cards to confirm if this understanding is correct? If this understanding is correct, it might be worth while to get the most cost effective MicroSD such as Samsung Evo or Sandisk Extreme, etc. Thank you. Yes, that's been my experience from the ones I've tested. In some cases, the 128GB cards might be actually a different model to the smaller cards. The main one I've noticed that with is SanDisk, and it's often a case of phasing in new models. Will you be able to indicate the memory card size of those cards tested by you. It may become handy when we are looking to purchase these MicroSD cards. I have used the Lexars 633x and 1000x on both the Paralenz and GoPro 6 and they have really worked well. You have provided a terrific resource by publishing your data! On the back of it I spent 10 minutes selecting a card, rather than an entire evening poring through reviews on dozens of different sites. PS. Suggest a voluntary donation facility for grateful readers to help fund your research? I saw you're list of tests results. This micro sd [SanDisk Ultra (SDSQUAR) UHS-I ] that you test is 64GB. my question: If you will test The 128GB type of this card, will the results be the same?? For practical purposes, yes. There are always minor variations, even with the same card, which is why I run the tests multiple times and take the average. But you shouldn't see any practical difference in speed between the 64GB and 128GB cards in the same model. If i use a microSD for my linux distribution, i should buy it for random write performance right? Which one of the microSD feels the fastest in realworld if used as a small ssd? It depends what you're using it for. If you plan to run apps off it, then the random write speed is important. If you're simply using it to archive data or even streaming data to it, it's less important. And the type of reader you're using also affects the real-world speeds you'll get. Although I'm including the random write speed results, I'm mainly focused here on uses for photos and video so haven't really tested using them in place of SSDs. Does "BUT" in "TESTED READ / BUT" stand for Butterfly test, and "RAN" in "TESTED WRITE / RAN" for Random test ? What file size was used for the "TESTED READ / BUT" and "TESTED WRITE / RAN" tests ? That's where the Samsung Pro+ (MB-MD) beats the Sandisk Extreme Pro (SDSQXCG). Now I have to check the size of the files that came of my current microSD cards. I hope that most are 1GB or less. any chance to test Kingston SDCA3 and Kingston SDCG? Have added them to the queue. You guys should test the ADATA Premier One. It should be faster than the Extreme Pro. Thanks for the tip--added to the queue. There are also some new Delkin cards that look to be quick. Waiting for the SanDisk SDSQUAR test. Thanks. Thanks for the suggestion. Have added that SanDisk Ultra card to the queue. What are your thoughts for the best card for smartphones? I am getting a Galaxy Note 8 so I am looking at the memory cards that have the A1 rating. Thanks. There are relatively few cards I've seen with it so far--mainly some of the SanDisk ones. But that doesn't mean there aren't cards that don't yet carry that badge that are fast enough to do so. It's not trivial for manufacturers to add the rating to existing cards, because, among other things, it means updating the packaging and production printing. Basically, what you're looking for in the results table are cards with fast random write speeds. First of all, the table above is useful to the extent that there was no sponsorship to "adjust" the performance of the tested cards. I will start from the premise that the transfer speeds presented are honest. However, taking into account that UHS-II cards also have a second row of electrical contacts (to increase the transfer speed), would have been of great help information about the capability of the card reader device in this table - so, UHS-I or UHS-II reader ? PS: what about Toshiba 32 GB M501 Exceria Pro MicroSD Card (THN-M501G0320E7) ? The results are real and unaltered. The information on the UHS-II reader I use for the tests is in the section above that starts "For the reader...". I found a "Speedin" card on Amazon. Seems to work really well. Any thoughts or insight to this brand? I don't know anything about them. When I search for them on Amazon I get a bunch of novelty flash thumb drives but can't see the microSD card you mention. Hmm..not sure about that; try searching "EMTEC Speedin." Their cards have worked well for me in the past. Typically a cheaper alternative to Sandisk; but I don't know if it's an apples to apples comparison and worth the savings. Just wondered if you could offer any insight. Okay, now I see them. Sorry, haven't tried them and don't know anything about them. Your article is really helpful. Thank you sir. Thank you. I bought a card via your affil link based on your reviews. I appreciated the comparisons. Thank you. Thanks! And glad you found it useful. Would you be so kind to tell me your opinion vs Model SDSQXCG? Those new Extreme Pro U3 UHS-II cards are excellent. You can't really go wrong with them. Added to the queue. Should be able to test it quite soon, although the Ultra line tend not to have the fastest write speeds--and they're not designed to be. They're at the top of the queue. Stay tuned! Please add the toshiba exceria pro! Thanks for the suggestion. Having some trouble tracking down one locally but will see what I can do. Random-write seems to be a stress-test for most NAND controllers. Only those with competent, high-performance controllers can sustain high random-write speeds. Thank you for making your performance tests available to us! It is a valuable service!!! Great question, but I don't know the answer. Maybe as the market for using memory cards in app devices ramps up the card manufacturers might put more emphasis on that aspect of the controllers. I suppose the green Samsung "EVO Select" are just the same cards as the red ones simply called "EVO" and "EVO Plus" in Europe, as they seem to have the same specs and recently have gotten an upgrade from U1 to U3 (whatever that rating is worth). I don't think I've ever seen the green ones for sale in Europe. Hello, I want to by sd card to use it as the internal storage of the phone motorola droid maxx 2.
would you be so kind to tell me what speed should it have to work properly ? I don't use that phone and don't have first-hand experience with using microSD cards in it, but based on at least some tech docs here, it appears that UHS-I cards that are Class 10 or faster should work just fine. In practice, that's going to be most of the standard microSD cards currently available. Avoid the ones that are Class 4 or 2, although those are rarer these days anyway. Something like the SanDisk Ultra or Lexar 633x should be a good combination of reliable, readily available, and cost effective. But, as I say, I haven't personally used that phone. I try my best to update as new cards are released. I just got a DJI Mavic Pro and noticed that i get a lot of lag in the videos using some older microSD cards. Which card do you recommend for shooting 4K video with a Mavic Pro? While I haven't tested them in that specific camera/drone, the same cards that are designed for 4K video and that work in the GoPro HERO5 Black should also work well in the Mavic Pro. In which case, the SanDisk Extreme cards or Lexar 100x, or faster cards, should work well. Here are some other specific recommendations. i noticed that a store near me is selling a Sandisk Extrme Pro with a different serial than what you reviewed the full serial is SDSQXCG-064G-GN6MA is it an older model ? and if you can find one can you review it? That appears to be a model number used by SanDisk in the European market and not readily available in North America. I would expect it to be similar speeds to the SDSDQXP model, which I've tested with the results above. Ever come across Sandisk ULTRA A1 rated microSDXC card? SDSQUAM-* Would like to see that tested. Thanks! No, that specific model isn't readily available here. Here's SanDisk's documentation for it. Firstly thank you for providing such a valuable comparison table! I've just bought a used Sony A77, and currently testing the picture and video quality against a Panasonic HC-X900M video camera. The memory cards I'm currently using in the cameras are Sandisk Extreme 45MB/s SDHC class 10 32gb. These cards do not have the capacity that is needed for my next project, so I'm looking at 128gb cards. After reading through your article above, I began scouring the web for prices etc. Whilst searching I came across a card manufacturer - Vaultor. I've not heard of them before. Have you? One of the things which interested me was that they seem to be a UK company? Below is a link to an ebay listing with one of these cards. I just wondered if you have tested one of these cards? Or if you may be doing so in the future? No, I'm afraid I'm not familiar with that brand, and they don't seem to be readily available near me so probably won't be in a position to test them anytime soon. Any chance you will be testing the newer Toshiba Toshiba Exceria M302 64GB Micro SD Memory Card 90 MB/s 4K - THN-M302R0640EA ? Thanks for the suggestions. Have added them to the queue and should be posted in a week or so. hi thanks, as I am looking for memory card for my new gopro, i came to your blog, but confused so please tell me will it work or not? I've put together some specific recommendations for the HERO5 models. If you're using a different model, I have some other recommendations here. "TESTED READ / BUT" - what does this mean? Is this the random read speed? I'm looking for the card with the best random read speed, since I'll be using this with a smartphone. It's for "Butterfly Read." It's similar to random but does it in pairs in opposite parts of memory. That's a good point. I haven't seen any standalone UHS-II cartridge adapters for sale yet (but admittedly haven't looked that hard either). The ones I use are ones that were included with UHS-II microSD cards, like this one. SDDR329, SDDR399, and probably others. Amazon shows quite a few options with a search for "uhs-ii reader". Those are readers, but that's not what he's looking for. He's after an adapter to go from microSD to SD. I've reviewed some of the UHS-II readers, including the SDDR329. I have a GoPro Hero 3+. Which is the best memory card with a 64 gb capacity with the highest write speed that I should look at getting? You don't necessarily need the fastest possible card for that camera. I'd recommend any of the ones that work with the HERO5 Black and HERO4 Black. I have some specific recommendations here. What serial write speed would be required for 'Ultra HD' 3840x2160 30fps? It depends on the bitrate it's encoded at, which varies camera to camera. To be safe, I'd recommend starting at the SanDisk Extreme level or faster. Both of those are good cards. I'd go with whichever you can find for the best price and/or your preference in brands. You're unlikely to see any performance difference between them in the camera. Thyanks for the survey, I have been looking to buy a sdxc card. After spending all morning looking for a card. and comparing speds I found your site. Apologies, When did you carry out the tests? I update it periodically as new cards become available. The most recent ones were added a week or so ago. The Extreme Plus will serve you well--they're very good (and fast) cards. Great Comparison! Thank you very helpful! Stay tuned--should have the Polaroid card test results posted later this week. Have now tested the Polaroid card and posted the results in the table above. You use the reader that comes with the Lexar Professional 1800x microSDXC but didn't test the card. Why? The specs give it a very fast write soeed and should put it on your top five list. It's there. It's just not as high on the list as you might expect. I found it to have a very fast read speed but I simply couldn't get anywhere near the write speeds I expected. I was surprised by that, so I ran the tests multiple times with different readers but the results were consistent. Does Strontium compatible with GoPro Hero 4 Black Version? Sorry, but I haven't tried it and haven't heard from anyone else who has. I can't see the write speed specified anywhere--just the unhelpful "Up to 85MB/s or 566X read speed, write speed lower." I like, though, that it comes with a USB-C adapter. I WAS THINKING ABOUT BUYING ONE OF THESE... IS THE SANDISK FASTER BOTH IN READ & WRITE THEN THE SAMSUNG & BECAUSE OF THE U3? BUT THEN I SEEN THIS NEW CARD... I THINK IM GONNA WAIT & GET THIS ONE. IS THIS THE FASTEST MICROSD. I WONDER WHAT THE WRITE SPEED IS. Hi.. Do you think that Transcend Ultimate 633x microSDXC-UHS-I "3,U". 4K Ultra HD with 95MB/s read and 85 MB/s write class 10 are applicable for any GoPro as it's not show in a recommended SDcards in any website nor forum?? Based on its specs it will be more than fast enough, and it will most likely work just fine. But I haven't personally tried it. Thanks sir david... As a freshman, for the past 1week now im on it and i do not have any problems at all. The quality of videos & photos i tooked are totally awesome just for a test. I am frequently using my mobile as a RC asung S5 and have a 16GB capacity only. Downloading what i have on my gopro are so fast just a seconds only.. even, when im importing all the files to my laptop. Just my 2 cent. hi, is the toshiba exceria microSDXC UHS-1/U3 compatible with gopro hero4 silver? Based on the manufacturer spec of 60MB/s write speed it should work just fine. But I haven't personally tried it and it's not on GoPro's list of recommended memory cards. Would love to see how the Toshiba Exceria fares in these tests. It's in the queue and should be posted in the next week or so.